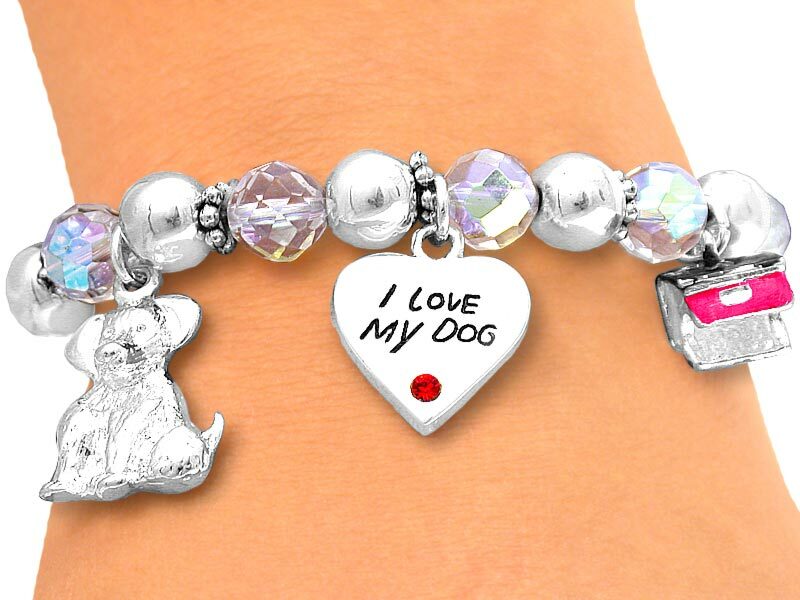 S2390B - "I LOVE MY DOG"
Adorable New "I Love My Dog" Stretch Charm Bracelet Strung With Faceted Aurora Borealis Beads. Charms Include A Silver Tone Puppy, "Spot" Dog Bowl, "I Love My Dog" Heart Accented By A Ruby Red Crystal, "#1 Dog" Bone, And A Dog House. Scroll Down For View Of More Charms!